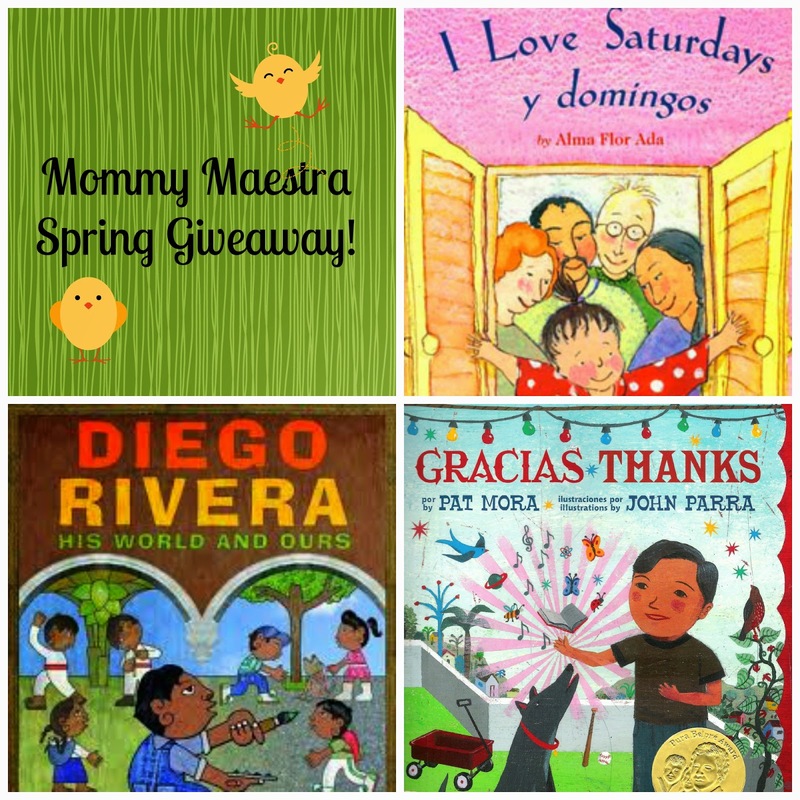 Mommy Maestra: Mommy Maestra Spring Giveaway! Spring is officially here (although, it is still very cold in some areas)! Everyone is feeling the end of the school year approach rather quickly and we thought it was a nice time to show some appreciation to Mommy Maestra's readers. We are giving away three of our favorite books for you to add to your classroom or home library. My boys love these authors and these specific titles are their favorites. One lucky reader will get to enjoy them as the year comes to an end, but it will be a great way to start talking about a summer reading program. Reading is important all year long and everyone can use new books to start getting motivated! I Love Saturdays y domingos by Alma Flor Ada is a perfect book to help kids understand that different cultures and traditions can exist in one family. We have used this book to help my oldest son undertand that some families can even have more than one religion. A great book to help get important conversations started! Diego Rivera: His World and Ours by Duncan Tonatiuh introduces the famous painter, Diego Rivera, to young readers. The beautiful illustrations help children also understand what inspired Rivera to paint and it encourages kids to think about what Rivera would paint if he were alive today. Gracias-Thanks by Pat Mora is written in English and Spanish. A reflection that is fantastic if done more than a couple of times a year, teaching children to be appreciative all the time is a great message to send. This book captures the beauty and graciousness in small ways, but the idea behind it is grand. Thank you so much for following Mommy Maestra! We hope our lucky winner enjoys these books! Please enter the Rafflecopter below. We will announce the winner in one week on this same post. Good luck! Como decimos en Venezuela, ¡Qué chévere! I've been looking for good books in Spanish to add to our Spanish library. ¡Gracias! Books, languages, cultures, and give-aways... doesn't get much better than that, does it?!! I would love to win these for my boys! My boys plus my preschool classes. I hope to teach about the great artists like Diego Rivera next fall. I am so ready for spring, which means walks at the park with my baby! Si gano estos libros, serán los primeros que tendrá mi hija aquí en Estados Unidos. Many thanks in advance!! I will be reading these books to my 7 year old son and my 3 year old daughter! My 1st graders up to 8th graders! My two year old loves to read with us. It would be great to have a few new books to read with him! My fours kids as well as their classmates! My 8 year old daughter, but I would read it to my 4 year old too. I am the bilingual educator at the Edventure Children's Museum in Columbia, SC. 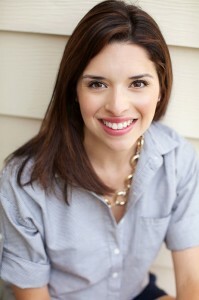 I will be teaching early childhood Spanish and developing Hispanic/Latino family programs and outreach in the community.